As we are all still thawing from the snowy winter, there are bright skies ahead! This weekend temperatures may rise up into the 60s. What does that tell us? Springtime in Ely, MN is just around the corner, which also means that Moose Track Adventures is preparing to open its doors and let the fun begin! As you begin to plan your spring and summer trips, consider Ely canoe and camping outfitting! 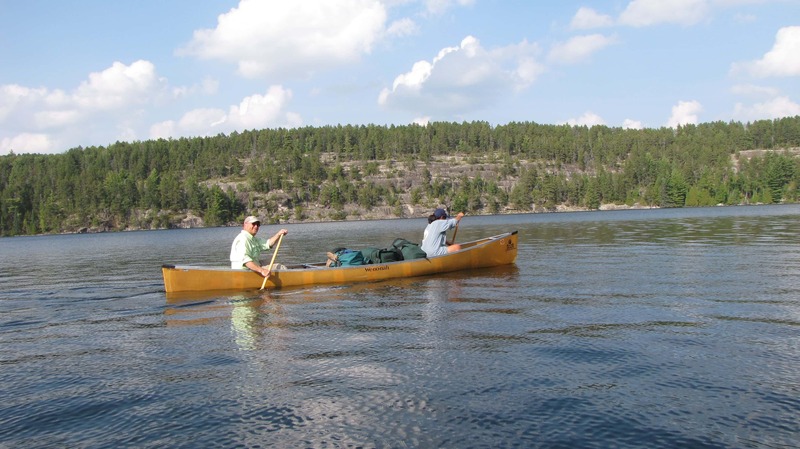 Moose Track Adventures offers Ely canoe and camping outfitting for all different adventure-types! Swap out that memory foam mattress this year and trade it in for fun canoeing along the amazing scenery of the Boundary Waters Canoe Area. While many places offer outfitting services in Ely, MN, the outfitters at Moose Track Adventures are on a completely different level. 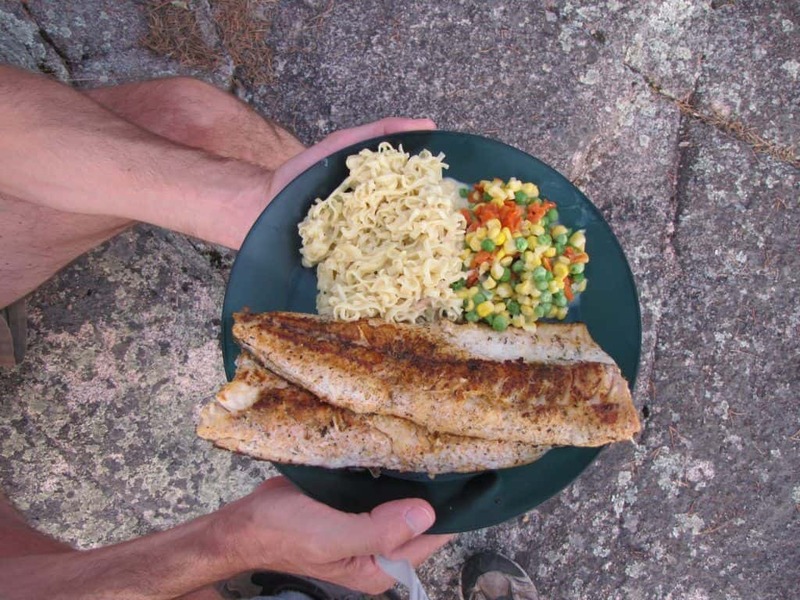 We help you to map out your route, equip you and your entire group with the highest quality gear and equipment, and provide a shuttle to and from the entry points within the BWCA. Our Ely, MN outfitters offer a wide variety of trip lengths. Whether you are looking for a ½ day trip or week long trips, Moose Track Adventures has got you covered. Ely canoe & camping outfitting is unmatched anywhere else. We have been nestled just outside of Ely, MN for over 20 years and know the waters like the back of our hands. 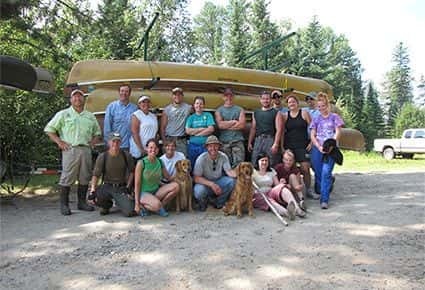 We have years of guiding through the Boundary Waters and know the “ins” and “outs” of canoe tripping. When you are out in the wilderness, it’s important to have the right gear and quality equipment. We take careful consideration when it comes to the condition and quality of the gear that we give our guests to use. We are passionate about giving our guests outfitting services with quality equipment so that everyone has a positive impact during their wilderness experience. Brand name, high-quality and top performing gear is used to ensure that you can rely on all of equipment during your trip. For every outfitting adventure, we provide all the equipment, food and camping gear needed for your stay. Some of the brands we offer include: Wenonah Kevlar Canoes, Rugged Canoe Paddles, MTI Livery Vests, Marmot Tents, Marmot Sleeping Bags, Kondos Outfitter Packs, Deluxe Taped Rip-Stop Tarps, Coleman Stoves, Crazy Creek Camp Chairs. So as you thaw out from this winter season, don’t forget to let your cold fingers dial our number and get your Ely Canoe & Camping outfitting trip booked soon! Call Moose Track Adventures today at 218-365-4106.